Children are required to wear sensible flat black shoes (no trainers). During the summer months, school shoes should be worn with socks, as open-toed shoes, sandals and canvas shoes are not suitable for playtimes in school. Jewellery should not be worn to school. Children are only permitted to wear small plain stud earrings and they must be able to remove them themselves for PE lessons or not wear them at all on PE lesson days. The children may wear a watch when they can tell the time. Transfer tattoos are not encouraged. Please name all of your child’s clothing - preferably with sewn labels. 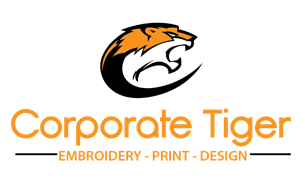 We use Corporate Tiger as our school uniform provider. Click their logo to visit the Rattlesden Primary Academy page on their website. Hairstyles which attract undue attention are not allowed. No stripes or shaven styles such as tramlines or patterns.